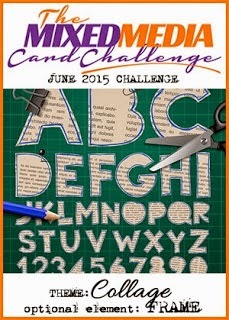 Time for a new challenge at The Mixed Media Card Challenge! This month the theme is collage with an optional element of Frame. Collage. From the French verb coller, to glue or to paste. I glued some gold and orange tissue paper onto a butterfly diecut, then stencilled gold embossing paste dots onto the butterfly. I wrapped some gold thread around a diecut frame and added some washi tape in the lower section within the frame. Pop on over to the blog for some fabulous inspiration from the rest of the design team, and to link up your entry. My goodness girl...you come up with the coolest ides! I love the look of the glued tissue paper! And, I love the smattering of gold dots too! Could that Washi tape have been any more perfect? I'm thinkin' that it was made for this card! So much goodness to explore in your card. Fun to see all the bits and pieces inn your collage and frame! Many thanks for your kindness and support as a great teamie! Best wishes with The Bee's Knees. I'll keep an eye open for you latest designs. What a bright and vibrant collage you created Shirley! 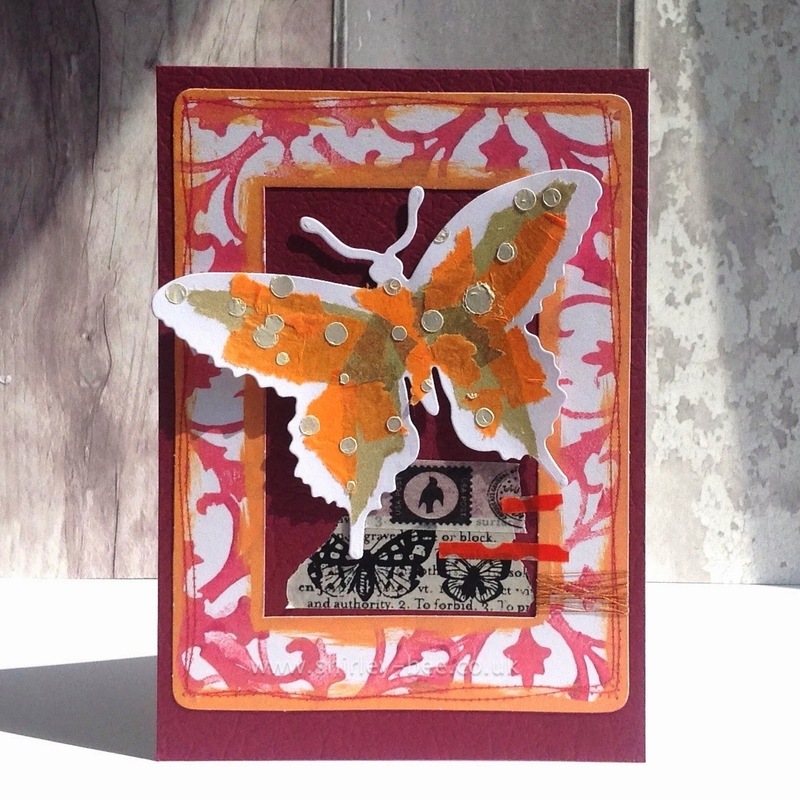 love the torn paper on the butterfly - and the wonderful design on your die cut frame! Something about this reminds me of northern Italy. Way cool and creative Shirley. Love all your elements and colors. TFS I will be playing later. Butterfly - swooning! Love this! OOoooo la la! This is super fantastically cool! Collage is your gig!